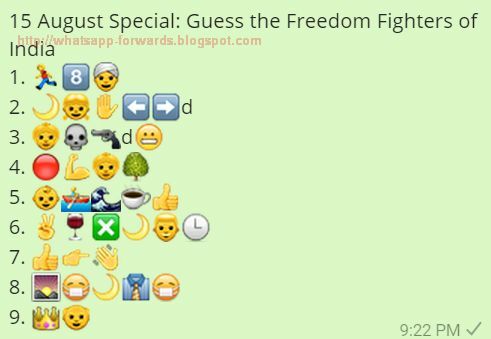 Guess the Freedom Fighters of India from the given Whatsapp Emoticons / Emojis and give your answers in the Comments. Copy the Quiz with Emoticons and share on Whatsapp. Copy from the Google+ Comment below.